Required Knowledge: Xero’s Features and Tools. 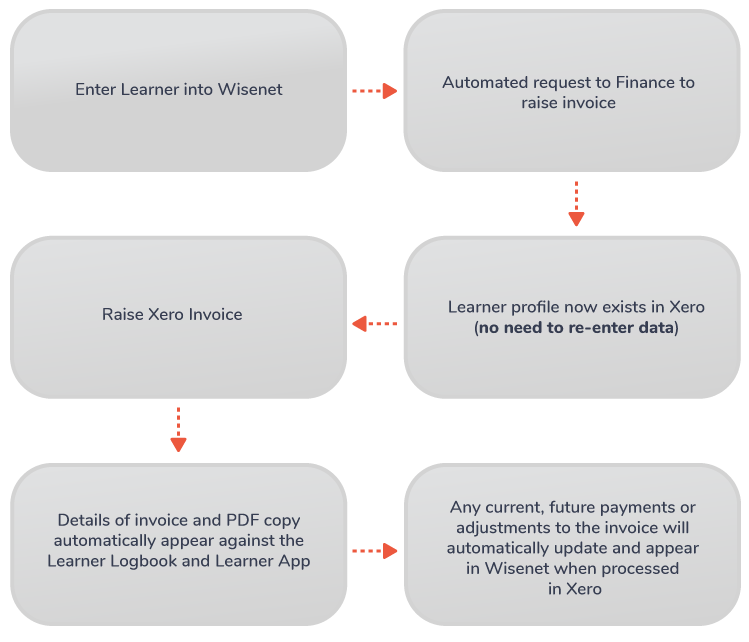 This is an example of the finance process with Xero Integration. Xero has a requirement that field ‘ContactName’ must be unique. Therefore to prevent integration issues, this is derived from ‘ContactFirstName’ ‘ContactLastName’ ‘RefInternal’. The only impact this may have is that the ‘ContactName’ is generally the default field used on Xero Invoices. Therefore to avoid having the ‘RefInternal’ field on the invoice you need to create (or modify) a custom invoice template to use the fields ‘ContactFirstName’ ‘ContactLastName’ instead of ‘ContactName’. Check out how you can troubleshoot syncing issues you may experience with Xero integration and learn more about Xero Field Mapping.